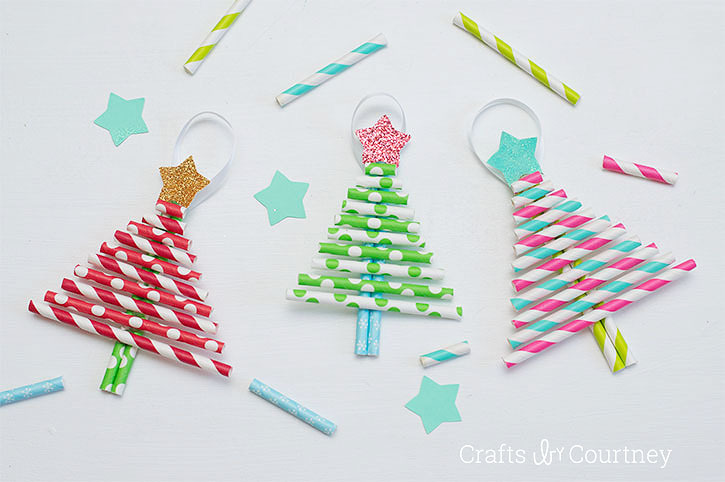 Get crafty with the kids this holiday season with these darling decorative paper straw christmas tree ornaments! 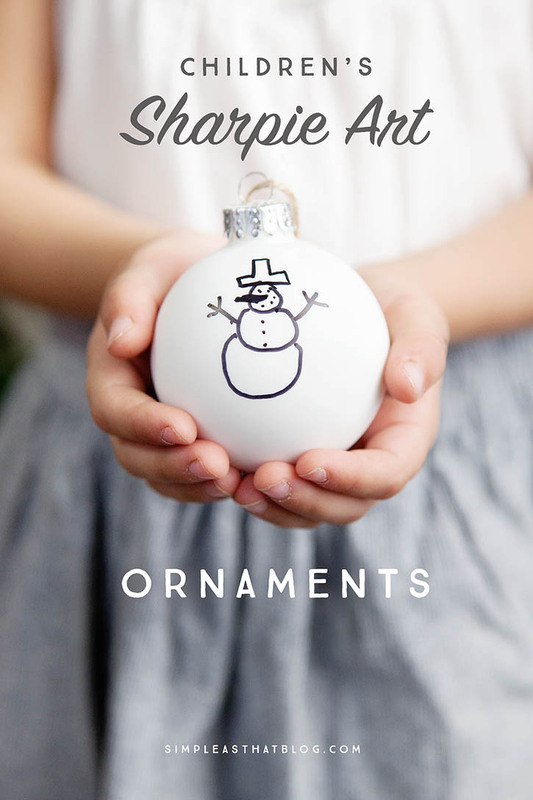 Follow along with Courtney from Crafts by Courtney as we create this cute and inexpensive Christmas kids craft! Hello everyone, I’m Courtney. I hope you’re ready for AWESOME Christmas kids craft! 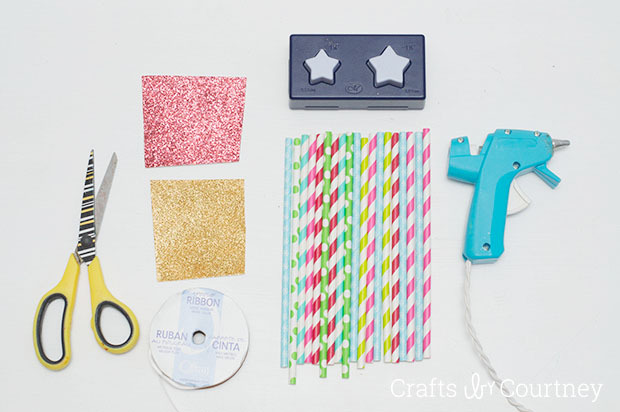 You can find me over at Crafts by Courtney where I blog about kids and home decor crafts with some DIY party inspiration! 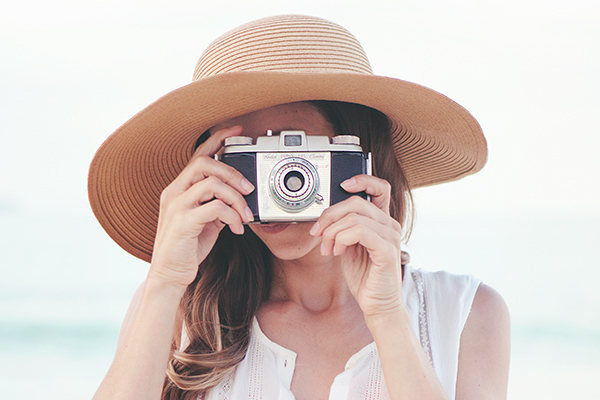 I’m very excited to be guest posting over here at Simple as That for the talented Rebecca! 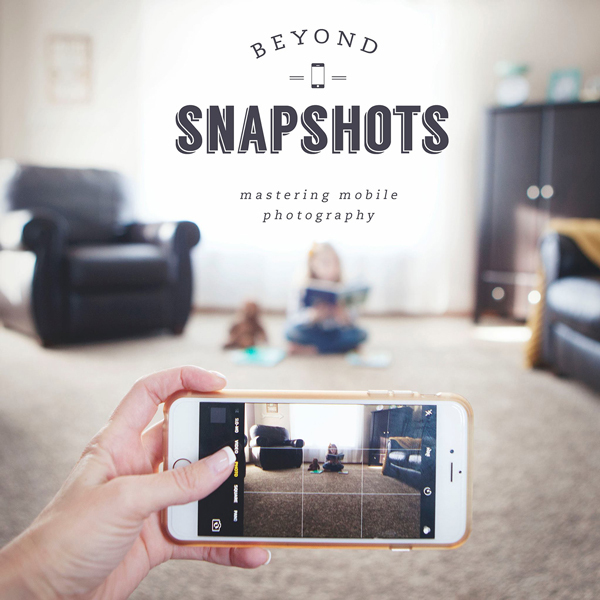 I was super excited when Rebecca asked me to guest post over here at her amazing blog. I really wanted to pick the perfect project for her readers. I thought why not a kids craft!! I have three boys so I’ve become a professional on kids crafts, LOL! Plus I love working on projects with the kids and Christmas is right around the corner. 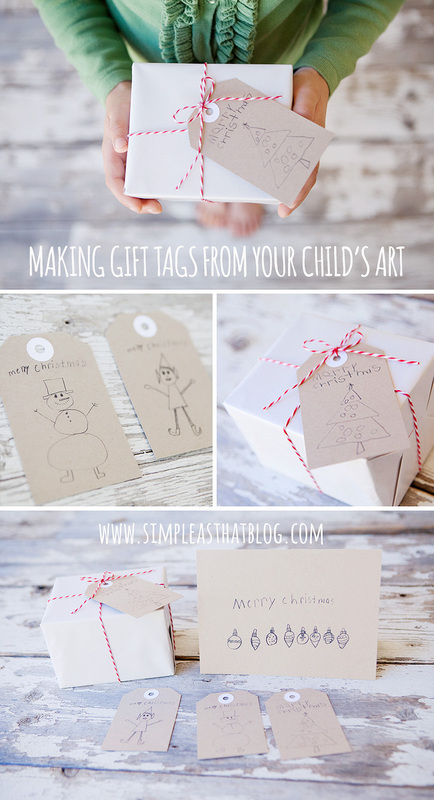 I did several Christmas ornament crafts with the kids last year and they were a hit. I’ve been stocking up on paper straws this year and I’ve really been wanting to use them for a project. 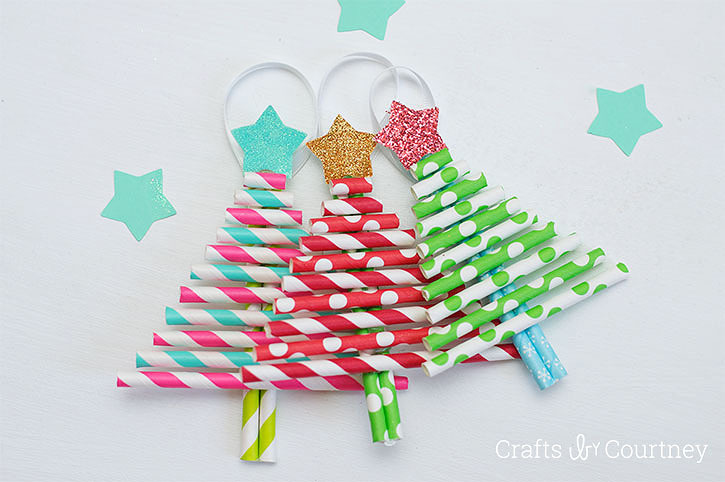 I rounded up all my Christmas-y looking decorative straws and the kids to get started on this project. I think we were all excited about this craft! 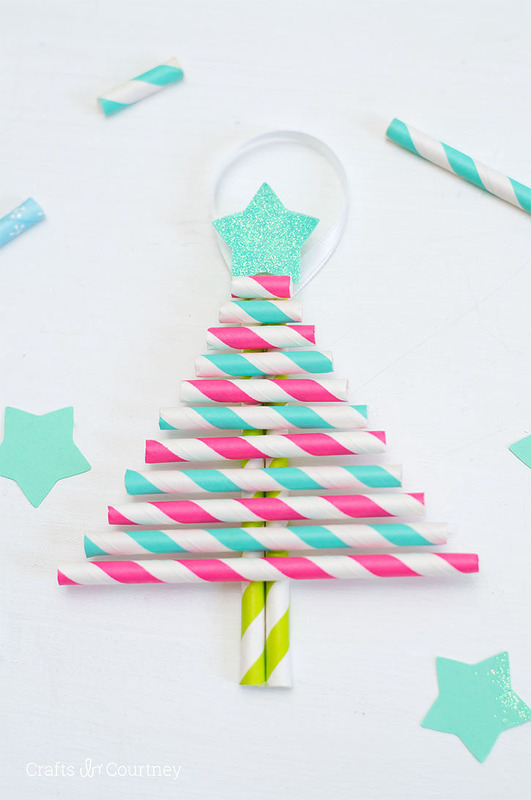 Your are going to need two paper straws for the back of your tree. 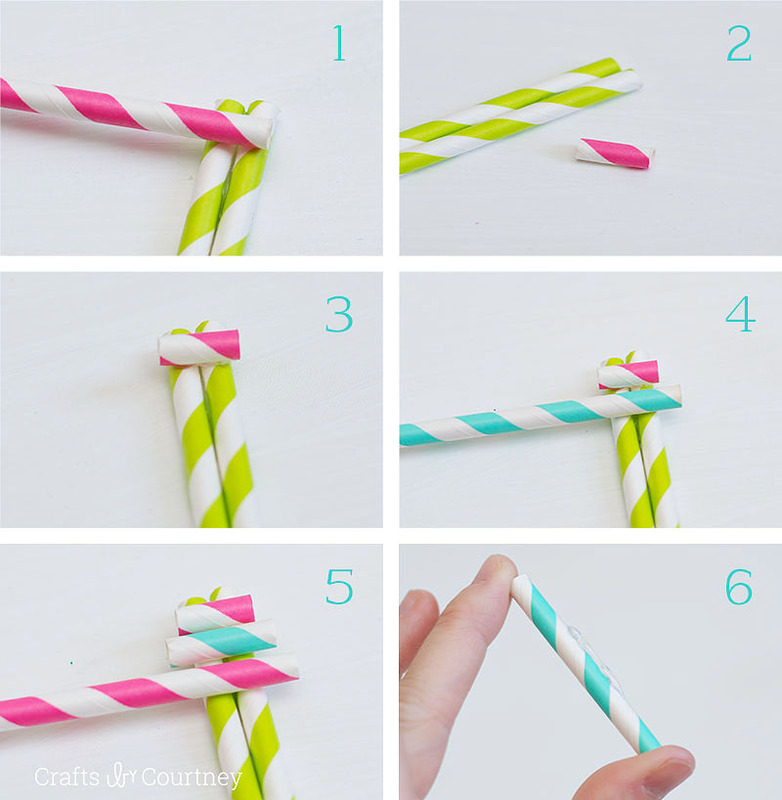 Add a little hot glue (with parents supervision of course) to the back to keep the straws together. Now it’s time to start putting your tree together! 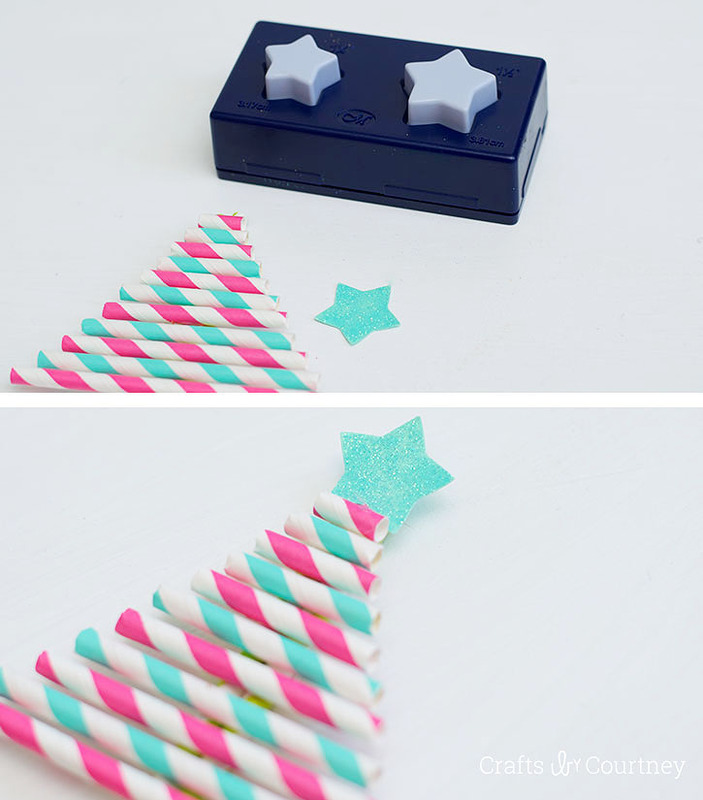 Start off by adding the top of your tree, we cut our first straw about the same width as the two green straws. Then leaving a little more to the ends as we added for straws down the tree. Each straw we added a little hot glue to the back. My six year old was able to do this party by himself. Next your going to cut off any extra at the bottom of your tree trunk. I pulled out my “trusty” star punch and some glittery paper. We hot glued on our star for the top of the tree. I think the glittery star finishes the tree off perfectly, don’t ya think?! Finally we needed to add our ribbon so we can hang our ornaments up on the tree. 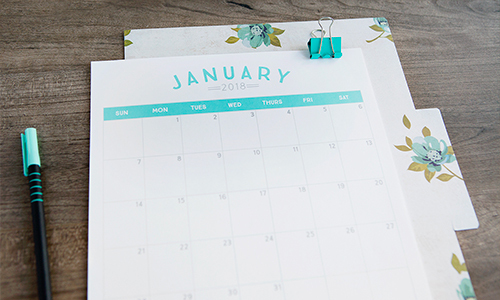 We picked out a simple white and hot glued that into place as well. Now we are ready to hang our cute and super easy ornaments on the Christmas tree!! We really had a blast working on them together. 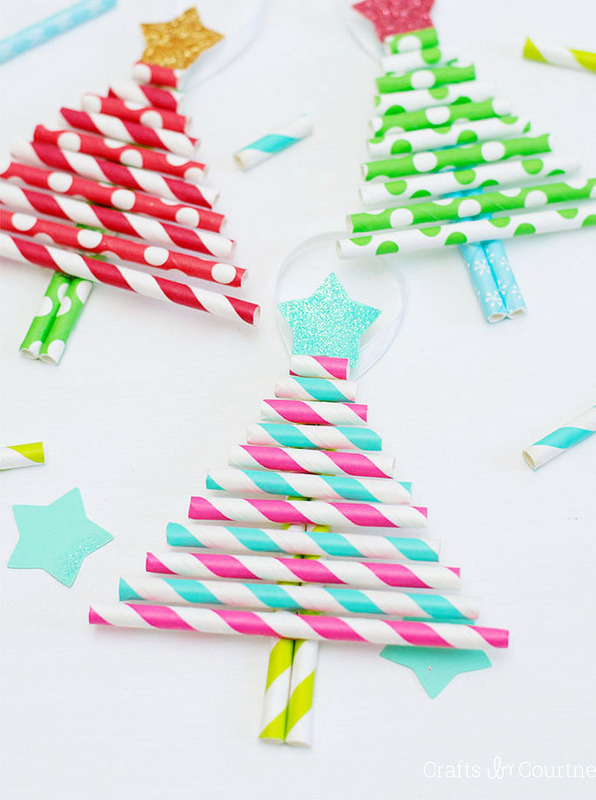 I really think these paper straw Christmas trees are adorable. 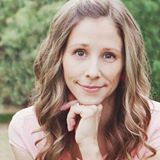 I want to give Rebecca a BIG thank you for letting me guest post for her blog today! I really had a great time talking with her and getting the post ready. I hope you all can find some great holiday inspiration here and make some special memories with your kids. Working on projects with your kids are great ways to have fun together and create beautiful long lasting memories together. 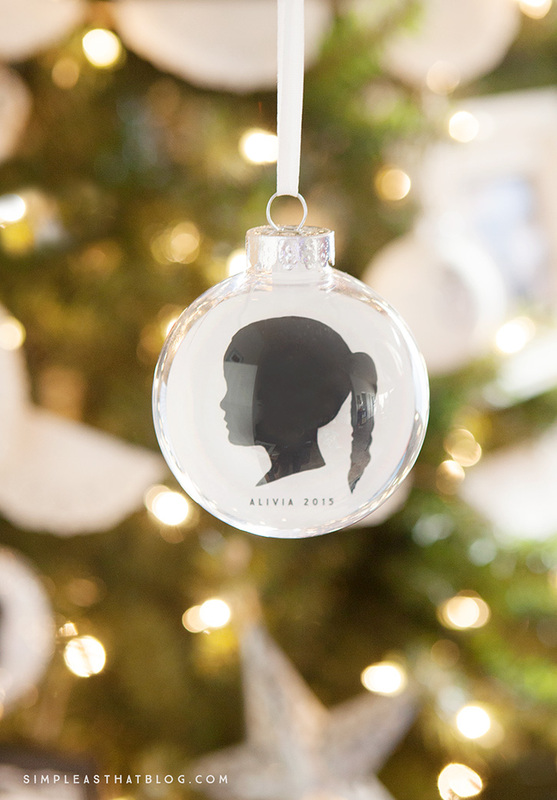 And now you’ll have a special keepsake to pull out every year to decorate the tree with. 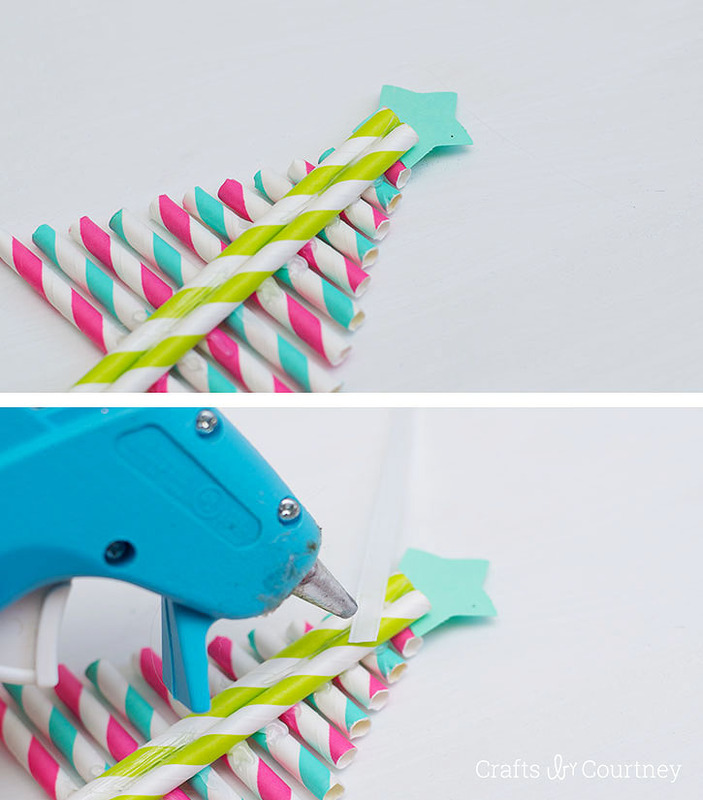 Super cute, this would make a super cute craft for me to do with my tweens! These are so cute! 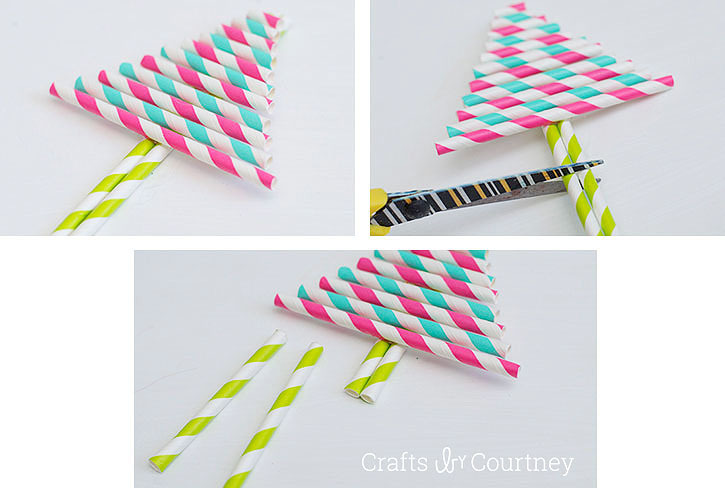 I have a stash of pretty Christmas straws and this would be a great way to entertain my nieces and nephews when they are in town for the holidays! These are great. There are so many options for paper straws right now everywhere. My kids and nephews will love this craft. I will be doing these for our Girl Scout troop this year at our Christmas Party. I think they will love these! About how many straws did you use in one tree? Thanks! Awesome! Very crafty you are! I will be trying this…thanks for sharing and Merry Christmas to you and yours!